Measuring impact, fostering communication, eliminating silos, harnessing innovation – good ideas lie behind these phrases, but their unspecific overuse often reduces them to meaningless buzz words. It should come as no surprise that TEDActive’s student interns breathe new life into the phrase “reducing siloed communication.” Maybe it was because they were referring to free pizza. Or maybe it is because – among the students I spoke to – their TEDActive projects are living on post-conference, improving the daily lives of their fellow students. This year, TEDActive sent a toolkit to students at seven different TEDx participating universities across the country — UCLA Anderson School of Management, University of Washington’s Comparative History of Ideas School, Virginia Tech, Southern Methodist University, The Ohio State University, Rhode Island School of Design and New York University. 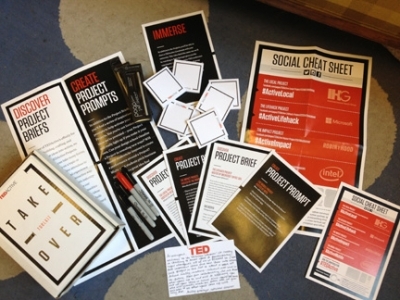 Students opened the kit to reveal four prompts that mirrored the prompts for the TEDActive Projects – Impact, Local, Lifehack, and Mobile. 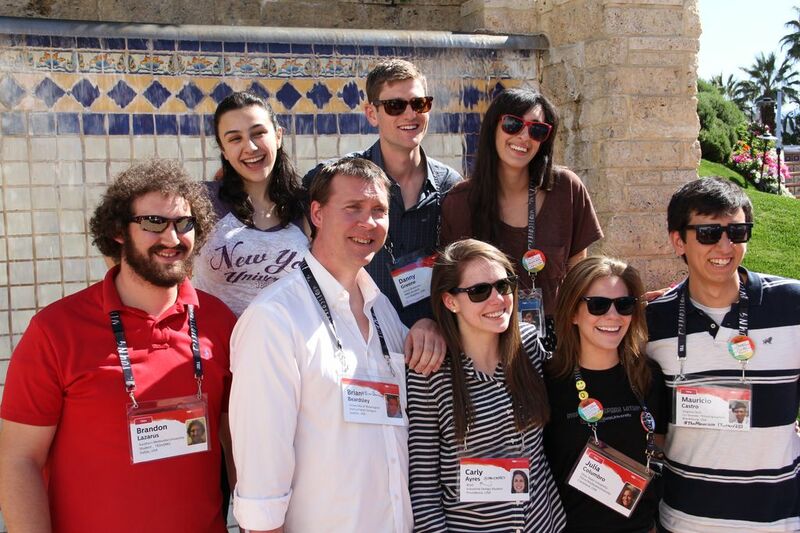 One representative from each university served as the school’s TEDActive Intern. The interns came to TEDActive in Palm Springs and presented their schools’ work to the community. Students’ responses ranged from a microsite with an interactive visualization depicting the diverse backgrounds of Southern Methodist University students to an internal, standardized assessment among NYU student organization leaders, designed to measure the impact of their own projects and find areas of overlap or openings for collaboration. Griffin Dooling, who is also a TEDxNYU organizer, described how it allowed “all of these different groups to coalesce around TED, which helped galvanize support for their own projects.” He added that this was the “first event at this scale with so many organizations” on board participating. 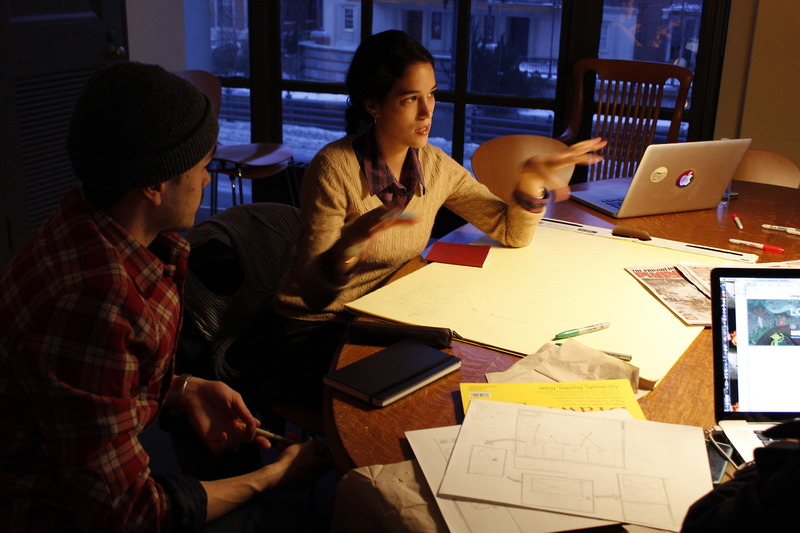 Julia Columbro felt similarly excited by how TED acted as a catalyst for Ohio State’s student groups to work together. Her time at TEDActive in Palm Springs “was really inspiring, and reaffirmed to me that social change is possible and something that I want to pursue.” Back at Ohio State’s campus, she helped set up an RSS feed that allows students to promote their on campus events and meetings – especially meetings that served free pizza. 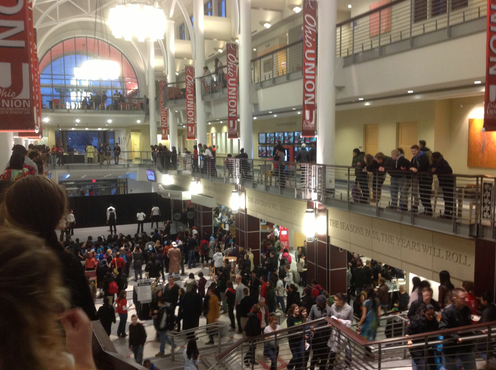 This live feed helped promote the event “A Taste of OSU,” a food fair thrown by another student organization and associated with the Local Project. Due to its promotion, over 4,000 students attended the fair. As Brandon Lazarus from SMU said, “Among our student organizations, we share a lot of commonalities, and can share resources and ideas. It’s not a competition when your goal is impact and social good.” At SMU, TEDActive challenged students to a hackathon – they had to prototype a mobile app in six hours to solve an on-campus problem. The winner was an app that helped students avoid construction sites in order to make it to class on time. Inspired by their prompts and TEDActive, student interns were able to lasso the creative energy of their many campus organizations, and demonstrate how they could map out efficient ways to work together. I am a non traditional student who absolutely LOVES what TED is all about! I had a brain injury when I was originally in college and took twenty years of hard work to return. My intention is to make a new model for disability offices on college campuses. Disability offices in academia are currently store fronts. I plan to ask student government next year to fund me so that I can attend a TED Talks and learn to promote it to students. I currently attend Indiana-Purdue Fort Wayne. I also communicate with researchers at Indiana Medical Center who are doing great work on brain injury. I help spread the word of their research with brain injury survivors. I volunteered a few weeks ago at a local TEDx event. It was a wonderful experience and would like to be more involved with future events. Fort Wayne is growing and my campus could use a campus takeover! What can I do to make that happen? Keep doing the great work you do!